Robinson Noble is pleased to announce the addition of Dave Laush as a Senior Engineering Geologist in our Tacoma office. He is a Licensed Geologist and Engineering Geologist with over 20 years of professional experience in the Pacific Northwest, including construction projects for public works, commercial, industrial, and residential developments. His work includes a wide variety of services for large earthwork construction projects, such as quality control and assurance, observation and testing services, and laboratory testing. He has also worked on large, underground parking structures and supervised the repair of numerous unstable slopes and landslides. 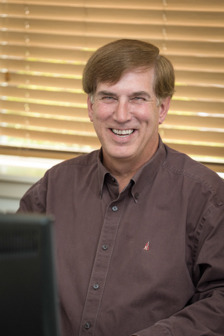 In addition to expanding our geotechnical capabilities in the South Puget Sound, Dave is well versed in both hydrogeologic and environmental services. He has overseen the installation of wells, pump testing, contaminated soil and groundwater identification, excavations, and the removal of underground storage tanks. Dave worked for the Washington Department of Natural Resources in Olympia from 2010 through 2012 and spent many years as a Senior Engineering Geologist for Terra Associates in Kirkland.